When did we discover the color/appearance of all the planets in our solar system? Was this process spread out over a long period of time? Vector site provides a nice summary of what we know about the planets. That will be the source for my answer. Some planets were fairly well known to the ancients, but they could only use their eyes until the birth and proliferation of the telescope (starting in the 1600s) and then modern telescopes and space probes (1900s). The planets known to the ancients were Mercury, Venus, Mars, Jupiter and Saturn. Of these, Venus and Mars could be more closely observed by the eyes (with Mars appearing red), but Jupiter and Saturn appear as brighter distant stars. However, they had a clear orbit and so they fell into the "planet" category. Even the closer planets are confusing to the eye - Mercury and Venus are low in the atmosphere and/or coincide with the sun, making it hard to see any detail with the eye. Telescopes from the 1600s into the early 1900s could only tell so much. Using math and orbital mechanics, combined with telescope observations, astronomers could determine relative density, mass, orbital parameters and so on. Prominent moons could be seen too: Galileo spotted four moons with his first observation of Jupiter in 1610. The more distant planets required stronger telescopes. Uranus wasn't spotted until the 1780s and its rings weren't spotted until 1977. Understanding of Uranus' orbital mechanics developed in the 1800s to suggest the presence of another planet, and so astronomers started looking. With the latest understanding of Uranus' strange orbit and some math, Le Verrier plotted the position of what had to be the source of the issue - and thus Neptune was found in 1846. Galileo had actually spotted Neptune in 1613 but chalked it up to a star. Neptune's first moon Triton was spotted shortly afterward, but appeared so small and faint as to be hard to calculate its properties. Pluto wasn't spotted until 1930. I'll avoid the planet debate here, but information about Pluto was slow to come and difficult to interpret. Charon, which defines some of Pluto's behavior and being unusual as a binary system, wasn't found until 1978. Telescopes could also be misleading. The most famous case is Mars' canals. The presence of canals, which appeared to link oceans or oases, appeared in observations in the 1800s. Giovanni Schiaparelli produced a map of Mars in 1877 that showed them prominently. The canals and their possible origins captured the imagination of astronomers and the sci-fi community for years, although other astronomers claimed they couldn't see them. This craze included a book, MARS AND ITS CANALS, by Percival Lowell in 1906. When Mariner 4 observed Mars in 1965, there were no canals or oases - just a barren planet. The limits of classic telescopes started to be reached in the late 1800s. For example, the fifth known moon of Jupiter would be observed in 1892 and would be the last until photography and imaging technology (i.e., modern telescopes) became useful. Radar astronomy would provide additional data and would correct some previous observations, such as showing Venus to be very hot in the 1950s (previously Venus was thought to be swampy). Most of these earth-based observations were still relatively basic by the 1960s. Space probes had to clarify and confirm many of these observations, starting in the early 1960s with simple probes. For the gas giants, Pioneers 10 and 11 were the first visitors but were fairly basic, but the soon-to-follow Voyagers provided fantastic data that added much to what is now known - although there are still plenty of mysteries out there. Earth-based observatories still play a prominent role as well. To summarize the answer, only a few planets had color and appearance that could be estimated and guessed until relatively recently. The telescope certainly helped starting in the early 1600s, but there were still errors and limitations (the Mars canal controversy being an example). Earth-based observations have expanded our knowledge but are concerned more with physical properties (mass, density, spin rates, atmospheric parameters, etc). Space probes have been the best at determining color and appearance. If we define "color" as true visible light color and "appearance" as being able to make out surface features, that just leaves "planet". If we include Pluto, 2015 when New Horizons flew by Pluto. If we don't include Pluto, 1989 when Voyager 2 flew by Neptune. For many of the outer planets the Voyager Grand Tour missions were the first really good images we got. Because of the ambiguity about "planet", the answer depends on when you ask and what you believe are planets. If you asked up until 1989 the answer would be "we don't have good images of Neptune and Pluto yet". If you asked after the Voyager 2 fly-by of Neptune in 1989, but before Pluto's demotion in 2008, the answer would be "we don't have good images of Pluto yet". 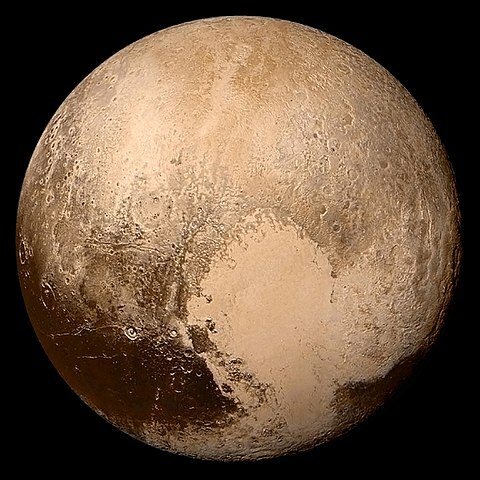 After Pluto was demoted to a dwarf planet in 2008 the answer retroactively became "1989". And if we find the hypothesized Planet Nine the answer will go back to "we haven't seen all the planets yet". Weird. All this absurdity comes down to what is a "planet" and that we keep discovering new ones. Also what it means to "know" its color and appearance. These are arbitrary definitions. Let's get "planet" out of the way first. It's the most contentious, and also of the most historical relevance. Prior to the 21st century, there was no formal definition of a planet. And what is and is not a planet has changed over time. There is a pattern through history of deciding that a set of things are "planets". Then we find a whole lot of new things that should be in that set, but then we'd have too many planets. So we choose a more restrictive set. "Planet" is a category we made up. There's no hard line between "planet" and "not a planet". It's a cultural and historical thing. It's not a category that helps scientists. To scientists there are Planetary Mass Objects which are bodies large enough to have been pulled into a sphere by their own gravity, but not so large as to undergo fission. These don't even need to be orbiting a star, rogue planets. Scientists tend to further split up "planets" into rocky planets (Mercury, Venus, Earth, Mars) and gas giants (Jupiter, Saturn, Uranus, Neptune). In antiquity "planets" were the "wandering stars" visible to the naked eye rotating around the Earth. Depending on who you asked, this was Mercury, Venus, Mars, Jupiter, Saturn, the Sun and the Moon. Ptolomy included the Sun. Yes, the Moon and the Sun were considered by many "planets" because in geocentrism these all orbited the Earth. And Earth wasn't a planet, because it was the thing everything else orbited. Then people noticed Jupiter and Saturn have their own things orbiting them. Things that didn't orbit the Earth! Some people called them planets, some called them satellites. Eventually we realized planets are things which orbit the Sun, and that eventually included the Earth. Now the planets were Mercury, Venus, Earth, Mars, Jupiter, and Saturn. Comets and Asteroids and Moons, oh my! The discovery of Ceres in 1801, and other asteroids, caused a new problem. To 19th century astronomers it looks like a planet: a thing orbiting the sun. Originally it, and other large asteroids, were considered planets. But by mid century it became clear these were much smaller, grouped together, and there were A LOT of them. So the category of "asteroid" was invented to separate them from the planets. 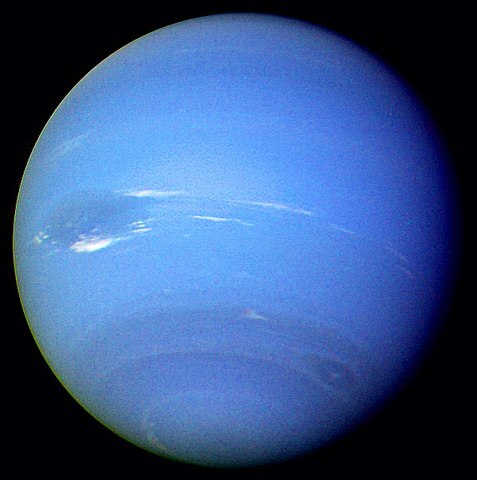 The discovery of Neptune in 1846, discovered by mathematical prediction, seemed to be the end of the planets. Mercury, Venus, Earth, Mars, Jupiter, Saturn, Uranus, and Neptune were the planets, there weren't any more. After the discovery of Neptune by observing perturbations in Uranus' orbit, people started predicting a tenth planet, Planet X. 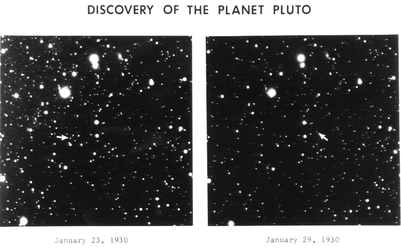 In 1930 an American found Pluto, just a tiny dot that moved between two images, but that was enough. Initially people thought this was "Planet X" with a mass close to Earth's. Then in 1948 it was closer to Mars. In 1976 it was realized Pluto is far more reflective than assumed and had maybe 1% the mass of the Earth. We now know it has 0.2% of Earth's mass and considered a binary planet with Charon, they orbit a point outside both bodies. In 1992 15760 Albion was discovered, a planet beyond Pluto. Like the discovery of Ceres two centuries before, this was taken to be a bit of an anomaly and largely ignored by the public. It hasn't even gotten a proper name. Now the search was on and thousands more were found. But they were small and called "minor planets" or Trans-Neptunian and even further Kuiper Belt Objects. No threat to the established order. Then in 2005 Eris is discovered, a Trans-Neptunian Object more massive than Pluto. Is this a planet? 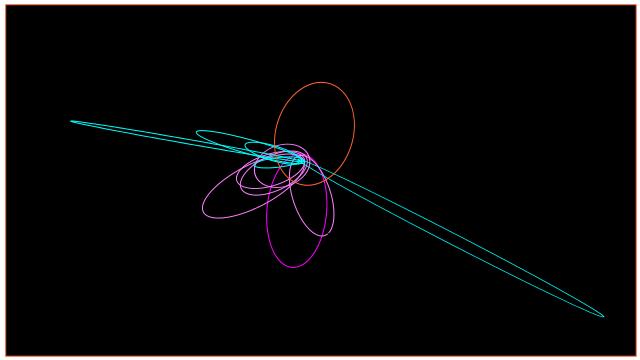 More quickly followed and Pluto was looking less like a planet and more like just the first TNO found. Again the problem arose of what do we want a planet to be? If Pluto is a planet, then so are Eris and Ceres the other large TNOs and asteroids. Do we want eight planets or eighty planets? Or do we arbitrarily say Pluto is a planet and Eris and Ceres are not? In 1989 we discovered the first exoplanet, a planet around another star. As before, it started with one or two a year. In 1996 we discovered six. 13 in 1999. 30 in 2002... With the launch of Kepler dedicated to finding exoplanets in 2009 the discoveries poured in. We're now at 3730. Now that we're finding "planets" around other solar systems, and in bulk, it became even more important to define what a "planet" is. "cleared the neighborhood" around its orbit. Nobody has been happy since. "Clearing the neighborhood" being the most controversial and difficult to define, though there are proposed definitions. Anything satisfying 1 and 2, but not 3, is a "dwarf planet". Anything satisfying 2 and 3, but orbiting a different star, is an "exoplanet" (though that definition is not formal). "Clearing the neighborhood" is what knocked the TNOs (including Pluto) and the large asteroids out. Other proposals that kept Pluto in were either arbitrary or would leave us with (then) dozens or (now) hundreds of planets. 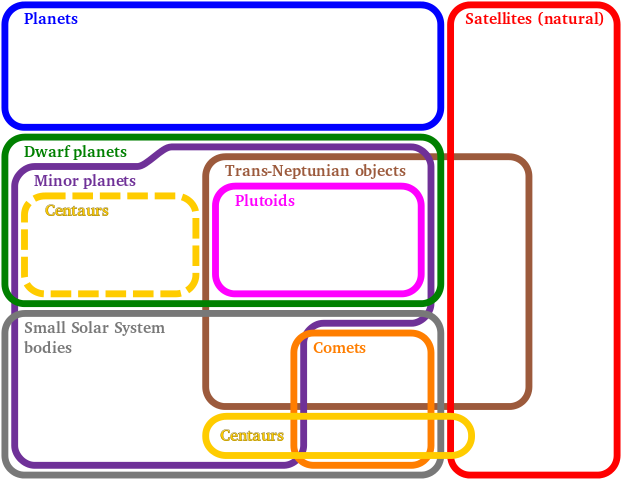 For example, a mass cut-off that included Pluto would be arbitrary and still leave us with dozens of planets. A cut-off at a certain distance from the Sun would be arbitrary and still leave us with dozens of large asteroids. Simply defining a list of planets was arbitrary. So "clearing the neighborhood" it is. Knowing the history of how often what is a "planet" has changed, and that its of little scientific significance, I personally can't get too excited about what is and isn't a "planet". Whether we call Pluto a planet or a dwarf planet or a Trans-Neptunian Object or a Planetary Mass Object, watching the New Horizons mission reveal Pluto was just as awesome. And we still expect to find more planets! The outer solar system is poorly understood and everywhere we look we find more dwarf planets. Examining the orbits of TNOs, scientists have noticed there's an unusual tendency for planets beyond Neptune's influence to be clustered on the same side of the Solar System. This could be the result of a large rocky planet with a highly elliptical 15,000 year orbit on the opposite side of the Solar System: Planet Nine. Orbits of TNOs proposed to be influenced by a hypothetical Planet Nine. Planet Nine is in orange. What color is the Earth? Is it a pale blue dot? Or is it a swirl of blue, green, brown, and white? What color is Pluto? Is it the black and brown from the Hubble Space Telescope? Or is it the pink and silver marble revealed by New Horizons? Is it even visible light? What about ultraviolet and infra-red light far more useful to astronomy. Few astronomical observations are done in the visible light range, Hubble is one of the last great visible light observatories. It's often done in other frequencies which both reveal more useful data about the object, and which our atmosphere is opaque to. 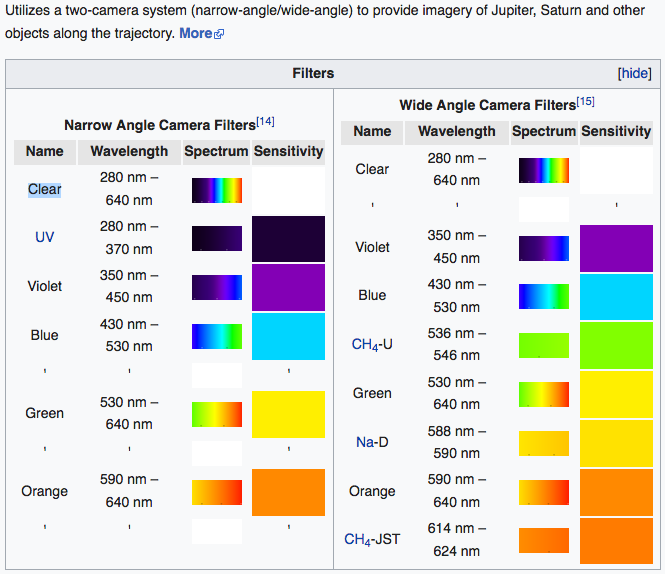 For example, Voyager 2's cameras were sensitive to UV and visible light, they used filters for wavelength ranges corresponding to "UV", "violet", "blue", "green", "orange", and for the specific wavelengths of methane. When we knew a planet's "color" is up to you. It's a matter of how good the resolution of our images were at the time. Generally when a planet is first discovered it's nothing more than a point of light on a few black and white photographs, or a few pixels in a single wavelength captured by a CCD. More observations are made with higher resolutions and in more frequencies. Many images of planets you see are "false color" images, composites of many images taken in a single frequency. Similarly "appearance" is a matter of resolution. For a long time Pluto was a few blurry pixels, and Charon was a small bulge that would periodically appear. Let's a say "appearance" means we're able to make out large surface features like craters. And "color" means we know something like its true visible light color. In that case if we include Pluto then it's very clear we didn't know the color and appearance of all the "planets" until New Horizons began sending back images in 2015. Pluto via Hubble in 2003. Pluto via New Horizons in 2015. If we go with eight planets, then we didn't know the color and appearance of all the planets until Voyager 2 visited Neptune in 1989 and sent back our first real clear images. Rather than go through all the planets, and because this post has gotten rather long, I encourage you to look at our observations of each over time and decide for yourself. This depends a lot on exactly what you mean by "color/appearance of all the planets". If you consider just the classical planets (Mercury through Saturn) we knew their color in prehistoric times. We got a vague idea of what they looked like up-close with the invention of the telescope in the early 1600s -- Galileo saw bands on Jupiter and the rings of Saturn -- and this improved more-or-less continuously as telescopes improved until the 1960s when planetary probes took over. Starting with Mariner 4 in 1965 we began a series of interplanetary missions which -- eventually, in 2015 when New Horizons photographed half the surface of Pluto -- completed the reconnaissance of all of the planets, both classical and telescopic. Here is a discussion of the astrological symbolical colors of various planets. Mercury: variable, brown, or multicolored. Venus: white, blue, or green. Jupiter: orange, blue, green, or blue-purple. Saturn: grey, black, or black-brown. Jupiter: Banded in orange and white. So naked eye observations since ancient times clearly established that Mars is reddish, and no astrologers assigned any other color to Mars. And it is possible that ancient Babylonian astronomers and astrologers assigned the color orange to Jupiter because they could see that Jupiter looked orange-white to them. But the other planets just appeared as whitish dots, and apparently astrologers felt free to assign whatever symbolic colors to them that fit with their theoretical framework about the pagan gods and mystical influences assigned to those planets. 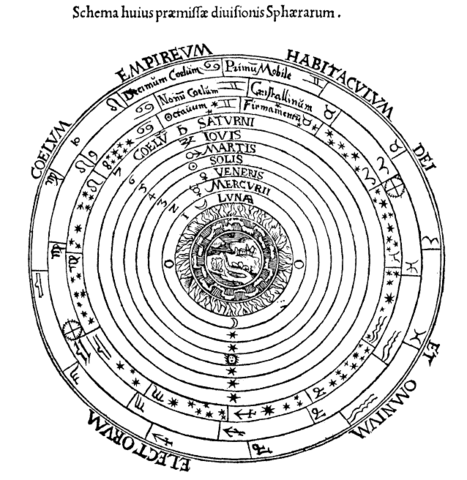 Therefore, nobody seems to have known the colors of any planets except for Mars (and possibly Jupiter) until the beginning of telescopic observations in 1609. And nobody knew any other details about the appearances of the planets until the era of telescopic observations beginning in 1609 - and until the era of space probes beginning in the 1960s for some of the planets. Not the answer you're looking for? Browse other questions tagged astronomy or ask your own question. Did Ancient Egyptians in the 2nd millennium BC practice Astrology? What was the internal Soviet reaction to the moon landing? What Time of Day Was Hitler's Opening Speech of the 1936 Summer Olympics? How is the accuracy of the Maya Calendar measured?